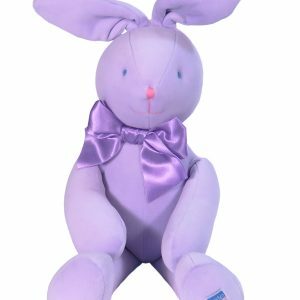 Fleur 4ocm Bunny is so soft and pretty and very cuddly! She wears a sweet summer floral dress with layers of pink tulle petticoats. 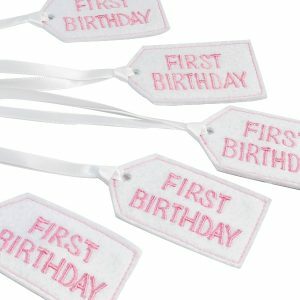 Her face is hand stitched and she wears a fabric rose in her ear. 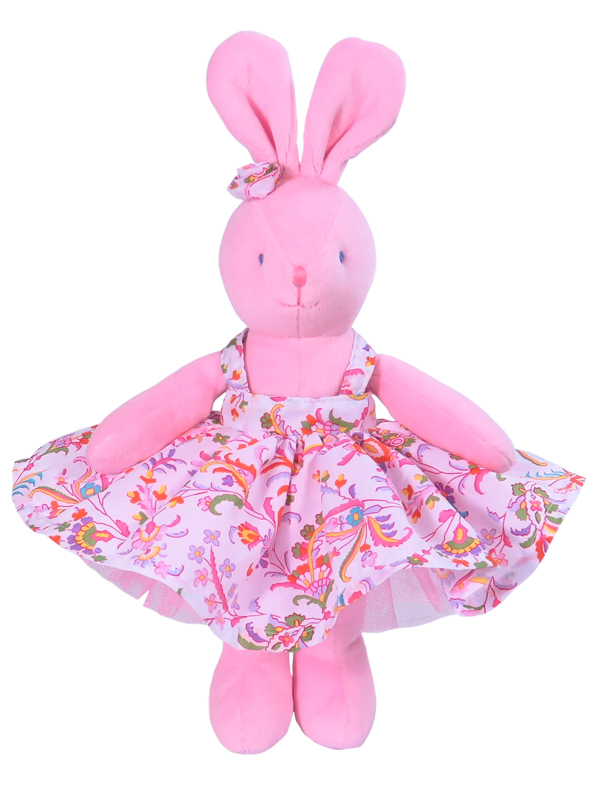 Fleur 40cm Bunny is the perfect gift for a little girl! 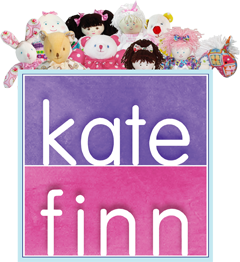 Kate Finn is now creating short animated stories about The Finnies featuring Kate Finn Rag Dolls and Baby Toys like Fleur 40cm Bunny. These short stories have been beautifully crafted to keep little ones enchanted by the gorgeous graphics and sweet characters. Episodes are available to download FREE from Kate Finn’s Vimeo and YouTube Channel so you can keep little ones entertained for hours!